Bollywood actor Arjun Kapoor is trying back to back new genre in upcoming projects, he has the most lined up films in 2018-19. Arjun Kapoor is going to be seen with Parineeti Chopra in his two upcoming movies Sandeep Aur Pinky Farrar and Namaste England. The actor recently has completed the shooting of both the films and now he has jumped to his another project. Arjun Kapoor today has started the shooting of Rajkumar Gupta's next directorial film India's Most Wanted and he shared one picture from the sets. He shared the clapboard on the social media and gave a caption to it, "The start of a new film always feels like a mission & this time it actually is with #IndiasMostWanted, Happy & excited starting my 12th film !!! Mark the date 24th May 2019. " 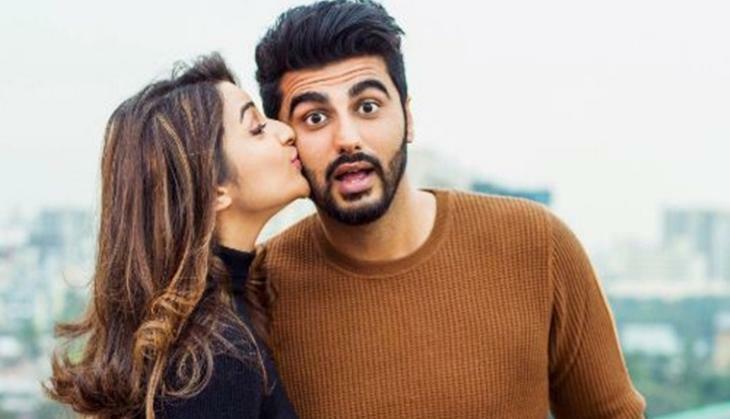 With this, Arjun Kapoor also revealed the release date of the film. However, who will be playing a leading lady and other roles have not finalized yet. The team will be moving forward to Nepal for the further schedule shooting. It is told that the film is somehow based on India's most discussed RAW agent Ravindra Kaushik, who died in Pakistan prison. Arjun Kapoor will also be shooting for Ashutosh Gowarikar's next period drama film Panipat, the film also stars Sanjay Dutt and Kriti Sanon. Reports are also that Anurag Basu has approached Arjun for his next film Life in a Metro sequel.